Calculate a lease or loan with this powerful, easy-to-use program. Calculates a lease or loan with an interface that is easy to understand. Lease Calc Pro can be used by the novice buyer or by a leasing professional. 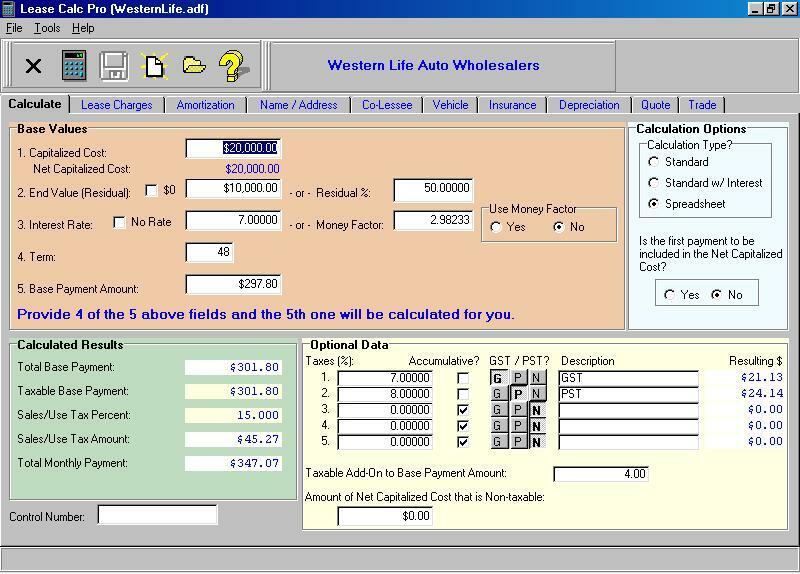 Collects information on: calculation fields, name, address, insurance, and vehicle. Produces reports for amortization, and depreciation. Data files are saved in a format that can easily be imported into the ALMSys Lease Management software (see www.almsysinc.com).